Just like the Anniversary Update, Windows 10 Creators update is the new update from Microsoft that’s going to drive your Windows 10 platform to new heights. If you have opted for the Windows Insider program or if you’re a developer, then you will have more luck compared to regular users as they will gain early access to the latest update, and will be able to gaze upon the numerous changes that accompany with this major update. Windows Anniversary Update came in August 2016, so it is pretty much confirmed that you will not be seeing the new update this year. However, Microsoft has said that it will be working tirelessly to make sure that you will be able to experience the new list of features in time. 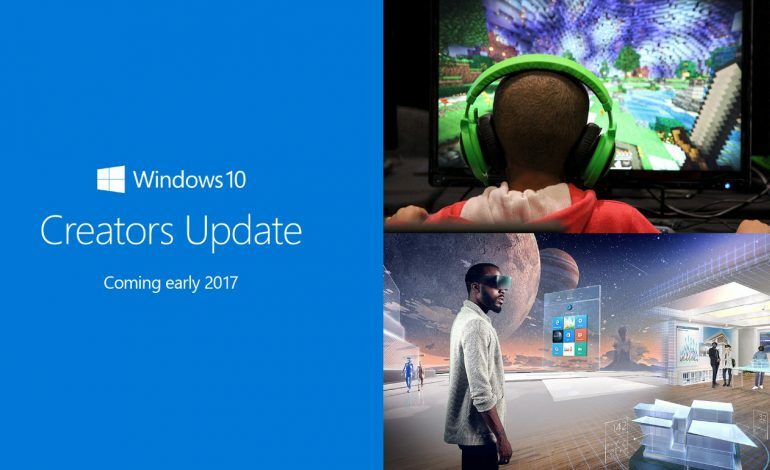 As for the release date, Microsoft has said that the Windows 10 Creators Update is going to be incoming in Spring 2017. The company hasn’t announced an exact date or even a month for that matter, because delays can sprout up at any given time without warning. As for the features, Windows 10 Creators Update will most likely bring a new performance upgrade since Microsoft stated that you will be able to experience 4K gaming on your system quite easily, but that will also mean that you need to have the necessary hardware to render 4K gaming content. Microsoft will also be adding native VR support in Windows 10 and will be working closely with manufacturers to release VR headsets. These headsets are expected to cost $299. Windows 10 Creators Update will be absolutely free for current Windows 10 users, and just a while back, Microsoft announced a new milestone of 400 million Windows 10 users, so that’s quite an achievement. We’ll be updating you on the latest changes that come through and provide you with a list of changes incoming when Windows 10 Creators Update is finally here for desktops and notebooks.